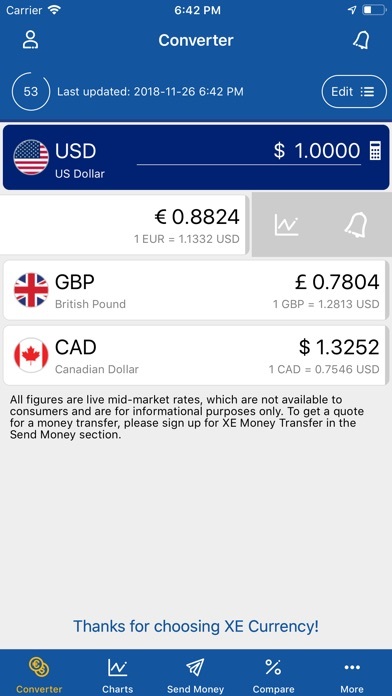 XE Currency app: insight & download. 25 April 2019 : Free! 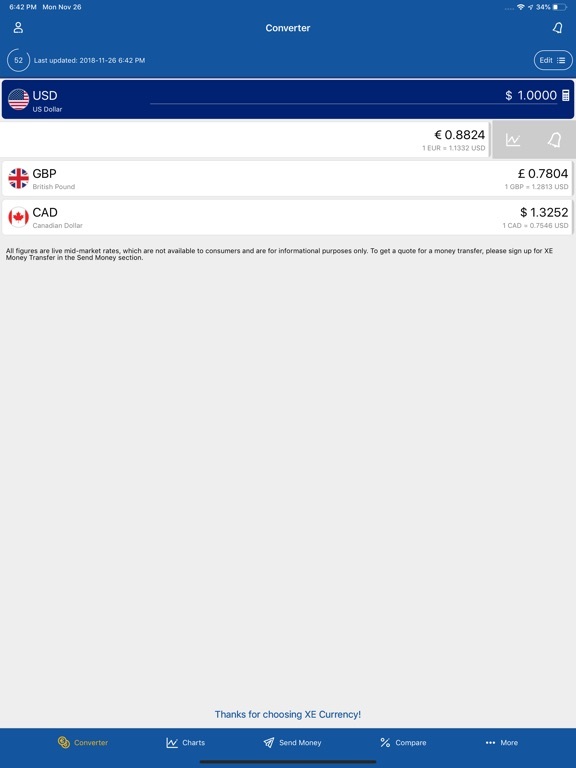 I do enjoy the XE currency app because whilst other currency converters only convert one way, I have found XE converter great for changing the sums on either currency and watching how it changes the other currency, with both currencies visible at the same time. I don't like how I can shake the screen to clear as I can imagine just jerking my arm would mean I have to start again and I am always doing more than one thing at once. I use XE when converting dollars in to pounds sterling because where I work, I get paid in dollars but live in the UK.